Various buildings on the historical yard are currently being restored and the Museum Management urges you to be aware for the buildings which are demarcated. Notices in this regards have been installed to give warning. Please accept our apologies for the current condition of the Museum due to the restoration of the buildings and for any inconvenience you may experience during your visit to the Museum. Your consideration in this regard is appreciated. Verskeie geboue op die historiese werf word tans gerestoreer die bestuur van die Museum wil u versoek om bedag te wees op die geboue wat gebaken is. Kennisgewings in die verband is aangebring om versigtig te wees. Apologie word aangebied vir die huidige toestand weens die restorasie van geboue en vir enige ongerief wat mag ervaar word tydens u besoek aan die Museum. U begrip in die verband word waardeer. 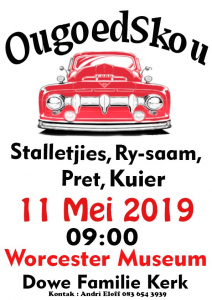 Owing to its situation in the Breede River Valley the Worcester Museum is a cultural history museum with a strong focus on agriculture. The collections emphasise the Cape colonial history with agricultural implements, wagons, furniture, glass, ceramics, textiles and metal. The grounds have been developed with structures forming a traditional Cape farm yard. Live demonstrations depict activities of a bygone era such as the baking of bread in an outdoor brick oven and the forging of metal by a blacksmith. The museum has a well developed educational function offering an annual programme with the focus on traditional farm and household traditions such as the tramping grapes for wine making, shearing sheep, milking cows and candle making. The museum is consistently working at establishing and maintaining networks across the community. One of the museum objectives is promoting social harmony and dialogue. 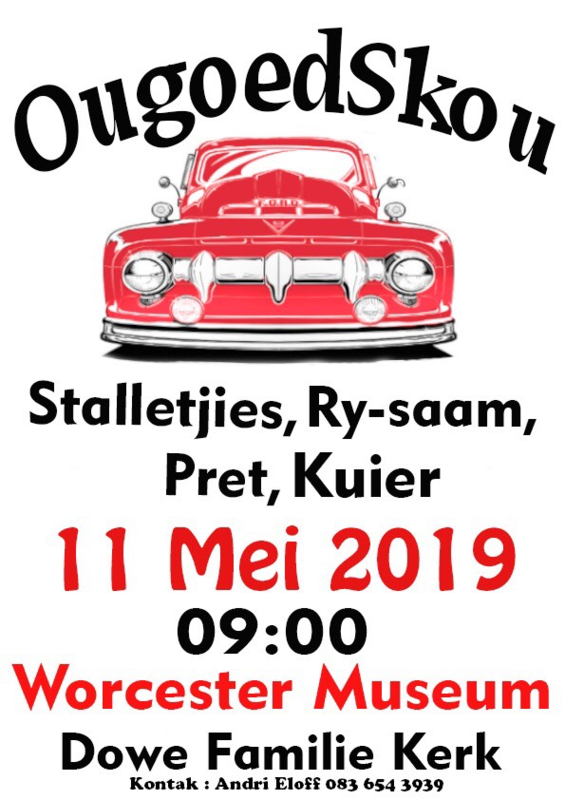 Consultative workshops are being held in the Worcester community to gauge the support for new museum interpretations of the development of Worcester and its people. The community rich in its diversity will hopefully find a common platform at the museum to show case itself.